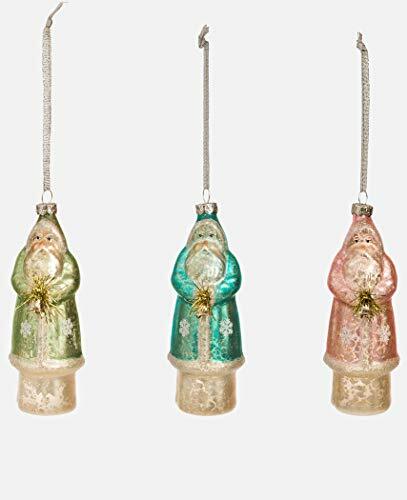 This pretty Santa ornament features an old-fashioned Santa with glittery touches and some tinsel at the hands. Each one looks great on a Christmas tree, and the delicately textured look of the glass gives it a nice vintage style. Made by One Hundred 80 Degrees, this ornament is 4.5 inches tall. You get all three colors with this set.